We acquired this piece during a recent estate sale jaunt. It was an item in one of those miscellaneous "lots" commonly found at such sales. We just love picking up those miscellaneous boxes and lots at estate sales. Often, you can acquire them for just a few dollars. Other buyers frequently pass over these miscellaneous lots because it just looks like a bunch of uninteresting leftovers. A case in point: we recently won a box of assorted items in an online estate sale auction for $1.00. We made the $1.00 bid and figured someone else would certainly swoop in and take it with a hefty $2.00 bid before the closing bell. We were wrong. As it turned out, that $1.00 bid resulted in some pretty neat vintage finds, including collectible 1950s mugs, milk glass, orphan pieces of fine china in excellent condition, and much more! Guess it's true what they say .... one woman's junk is another woman's treasure! Which brings us to the item in the photo. We almost passed over this little piece when we first pulled it out of the box along with miscellaneous other items destined for the trash bin. But when we took a closer look, our vintage-lover's curiosity was piqued. 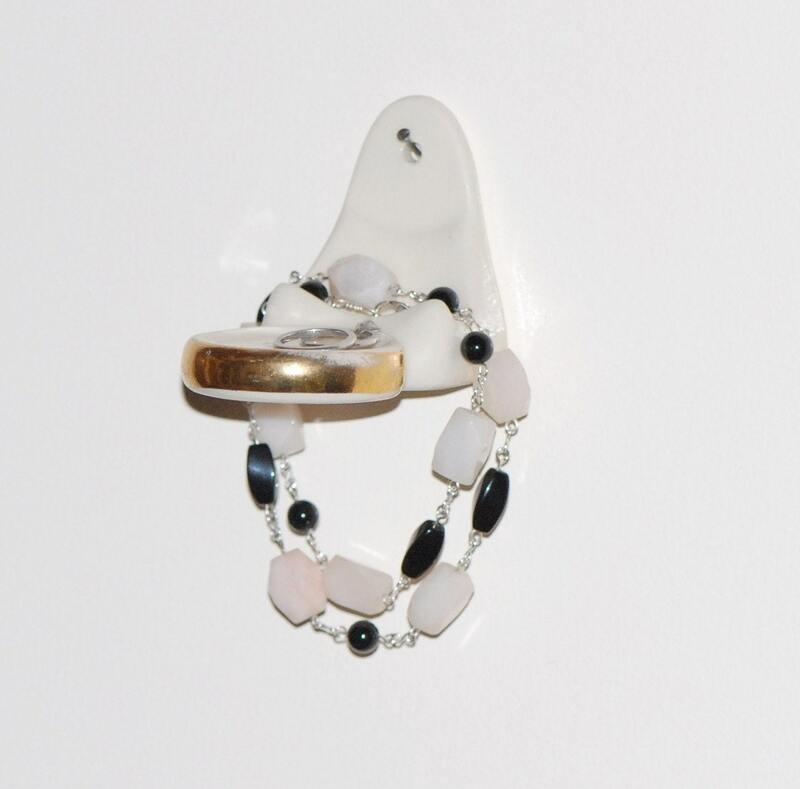 We don't know what its original purpose was, but thought it would make a neat vintage bathroom accessory -- perfect for rings or other jewelry, or even to hold a little decorative, round bar of soap. We did a bunch of research trying to figure out what it was, and also put the question to the experts on several Etsy vintage teams -- including the Vintage Lovers team and the We Love Vintage! Do You? team. Many creative ideas were bounced around, but a general consensus emerged. What do you think it is? Click here if you're stumped!